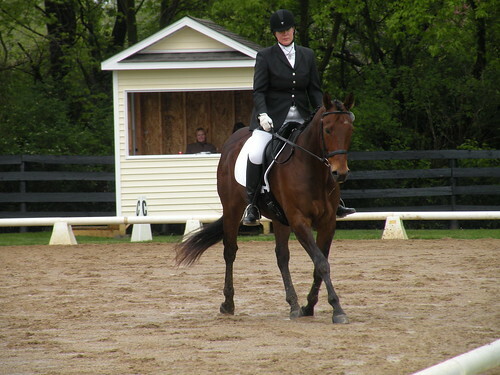 We kicked off the season with a schooling show at Silverwood this past weekend. The weather was pretty awful (big thunderstorms rolled through midday and dumped a ton of water on us) but we had a great day anyway! Caitlin got both of her tests done before the storm hit us, and despite Peaches being a little distracted by the atmosphere and calling for her friends, they put in 2 really nice Training level tests, both scoring around 63%, good for 2 third place ribbons! Before we got much further, the skies opened up and we hunkered down in the barn to stay try to stay dry while watching a beautiful lightning show. It’s always a little nerve-wracking being in the open during a storm, but we had a roof over our heads, and such a nice group of riders and friends that the time spent waiting out the storm was actually quite enjoyable! Once the storm passed, the show was delayed almost 2 hours and many riders had scratched, so the tests were running rapid fire as they were announced over the loud speaker. 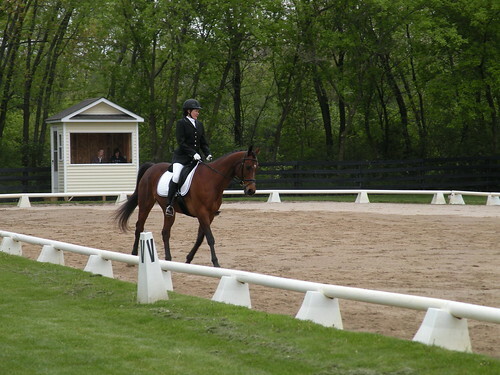 Between the limited warm up times (by the time the rider’s name was called, it was time to hurry up and go!) and the sloppy footing left by the storm, the riders really had their work cut out for them. Luckily, all our horses were cool about trotting through puddles, and the riders managed to get good rides in despite the conditions. 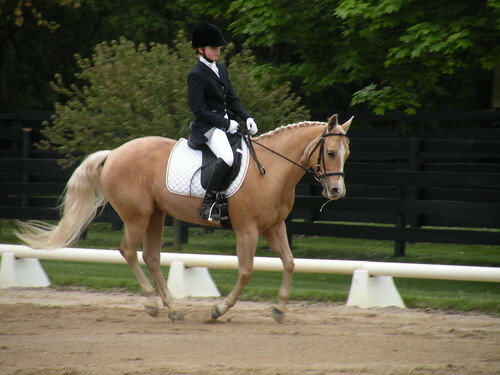 Hanna rode Cava beautifully to a first and second place, a 65% and a 63%, in Intro B and C.
Donna and Boomer put in really solid, steady tests and took a 63% and 62% at Training level. 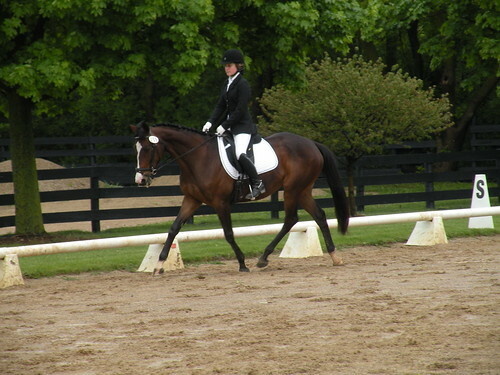 Sarah and Derby, who was the most careful about the puddles, scored around 60% on both of their tests. Everyone did so well, and most importantly, had a lot of fun! What a great way to kick off the season! Posted 7 years ago by tbatx. Posted 8 years ago by tbatx.